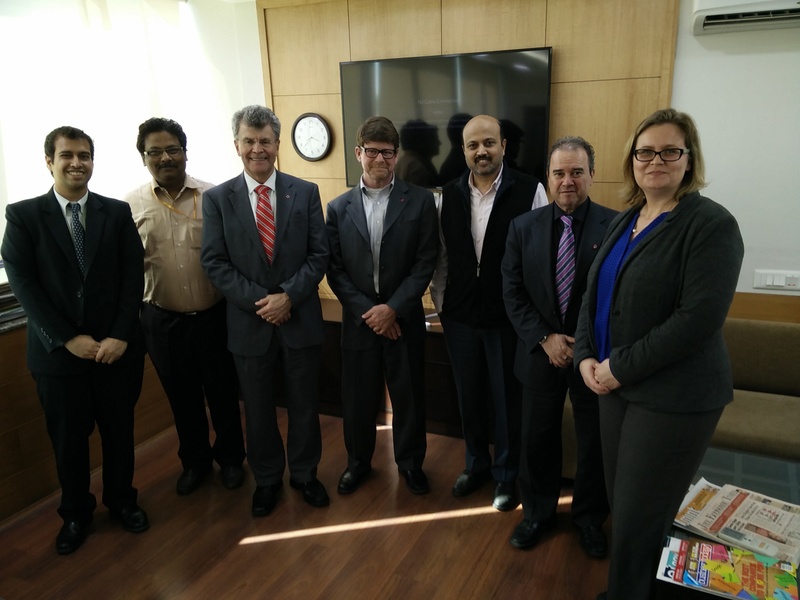 During the first week of March 2016, M&MS Faculty Lead Steve Ringel and College of Engineering Dean David Williams visited India to meet with university and government officials, private industry, and alumni in Mumbai and New Delhi. 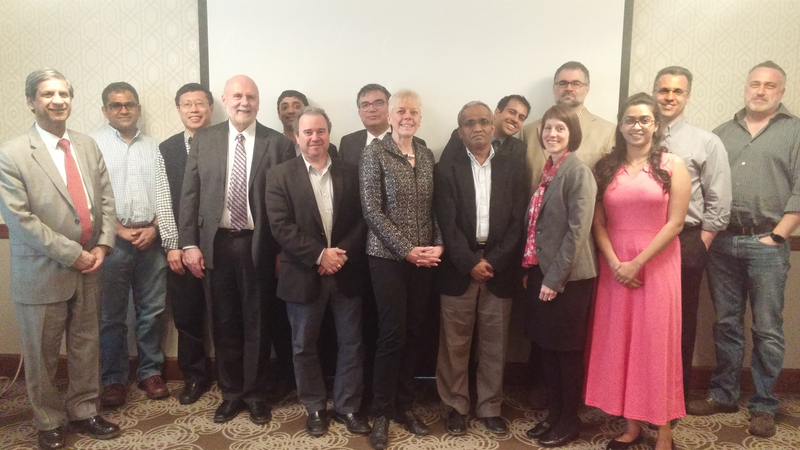 The trip, organized by OSU’s India Global Gateway Office, began with a day-long visit with faculty and leaders from the Indian Institute of Technology-Bombay (IIT-B), with whom Ohio State signed a memorandum of understanding in January 2015 to establish joint research projects and programs in materials science fields. Participants from both universities discussed current projects and additional ways they would like to collaborate. Resulting visiting professor programs and seed grant funding opportunities to support these global research partnerships will be announced later this year. Dr. Ringel was able to meet with Doug Fowler, Economic Officer of the U.S. Embassy; U.S. Consulate General Thomas Vajda and his staff; officials at the U.S. Agency for International Development and the US-India Educational Foundation; and representatives from several Indian companies during his stay, continuing the momentum built during previous visits to solidify partnerships with Indian collaborators and develop M&MS’s global programs. 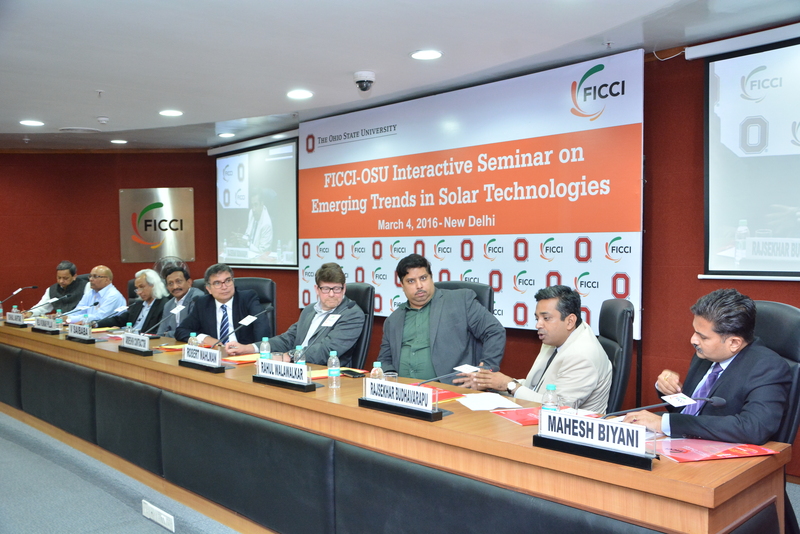 Later that month, Ohio State alumnus Ardeshir Contractor (BS ’84, MS ’86, mechanical engineering) – recipient of the College of Engineering’s Distinguished Alumni Award in October 2015 – joined Ohio State faculty and staff to discuss progress made with IIT Bombay collaborations and to brainstorm other future joint projects, student exchanges and workshops between Ohio State and materials colleagues in India. Contractor is the CEO and founder of Kiran Energy, India’s leading solar energy utility, supplying power to the government and top industrial firms from large power plant sites in Rajasthan, Gujarat and Maharashtra. 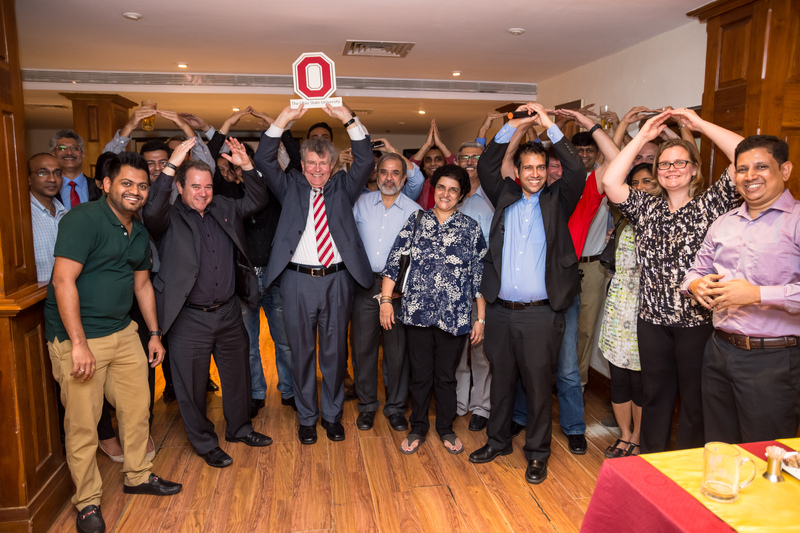 Ohio State alumnus Ardeshir Contractor (center, back row) meets with Ohio State faculty and staff to discuss OSU-India collaborations.